Press | Asthma. Technology. Games. Yaniv Corem, CEO and founder of Playful Meme, a design and consulting firm, recently covered GeckoCap in a blog post about asthma control and adherence. Wired wrote an article about Games for Health 2013, a conference that “explores the intersection of videogames + health”. The conference brought in speakers who shared their own gamification perspectives and experiences. Wired’s article covered the conference and also made a reference to GeckoCap. The Boston Business Journal features GeckoCap in their new article: “Mobile health IT firms face greater FDA scrutiny. Julie M. Donnelly, Health Care reporter for the Boston Business Journal, wrote a recent article about the scrutiny mobile health IT firms face from the FDA. GeckoCap was featured in this article which discussed the impending obstacles it will need to overcome on its pathway to regulation and production. Healthworks Collective, “a community for international healthcare”, recently began a new series called “Health Start-Ups. 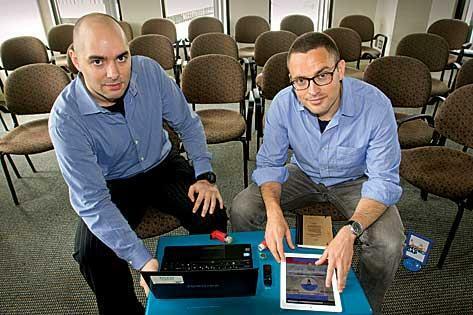 The launch article featured “20 Cool health Start-Ups” including GeckoCap. The article was written by Joan Justice, the senior curator for Healthworks Collective. Modern Healthcare features GeckoCap in an article about healthcare software. Modern Healthcare, the “#1 source of news and information for the healthcare industry”, posted an article about healthcare technology software that featured GeckoCap. Digital Pharma, a community of conferences aimed at healthcare improvement, posted an article connecting technology and patient adherence, which also featured GeckoCap. The Digital Pharma Blog showcased new technology aimed at increasing adherence and overcoming medication forgetfulness.